It's a big new discovery that could have huge implications for the medical community. A new discovery regarding chickenpox and the virus that causes it, varicella-zoster, could have major implications for people who are at risk for the disease. A report from the Centers for Disease Control and Prevention found that there has been an 85 percent drop in chickenpox between 2005-2006 and 2013-2014, and they think it has a lot to do with a second dose of the chickenpox vaccine that is given to children between 5 and 14 years of age. 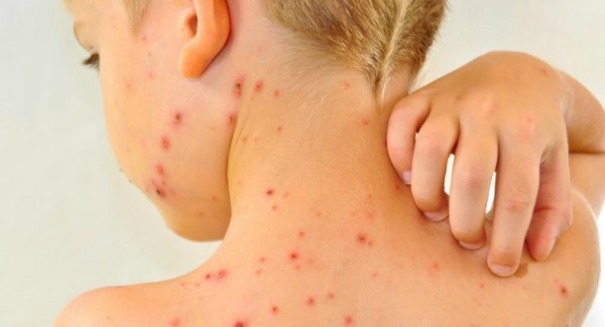 Chickenpox results in an itchy rash that covers much of the body, as well as fever and fatigue, but complications an be much worse for those with weak immune systems, and it can show up later in the form of a painful condition called shingles. But this new study is an encouraging sign, as it shows that possibly because of this vaccine, chickenpox cases have dropped from 4 million infections annually in the 1990s to 3.5 million today. That has already resulted in a drop in hospitalizations from 13,500 to 9,000 each year, and from 150 deaths to 100 deaths. However, keep in mind it’s not for everyone. “People should not get chickenpox vaccine if they have ever had a life-threatening allergic reaction to a previous dose of chickenpox vaccine or to gelatin or the antibiotic neomycin,” warns the CDC. “People who are moderately or severely ill at the time the shot is scheduled should usually wait until they recover before getting chickenpox vaccine.